Mary qualified with honours from Trinity College Dublin in 1980 and was then appointed as House Surgeon at the Dublin Dental Hospital. She undertook postgraduate studies at the Royal College of Surgeons and decided to pursue a career in general dental practice. 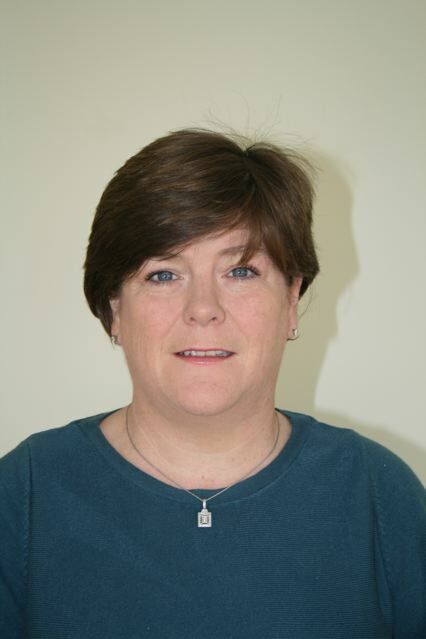 Mary has been practising in Oxted since 1986 and in 1993 purchased a share in New Lodge and became a Principal dentist. She is interested in all aspects of dentistry and regularly attends courses and weekly lectures on the advances in dentistry. She makes the patient feel at ease in the chair and works with the patient to preserve their teeth for as long as possible. She comes from a family of dentists and is married with two sons and two daughters. She is a former local school governor and enjoys meeting up with family and friends, travel and reading. Kevin qualified from King's College Dental School, London in 1986. After doing a house job in Oral Maxillofacial Surgery and Restorative Dentistry, he moved into a General Dental Practice in Bromley where he very much enjoyed looking after the dental needs of families. In 2005 he moved to New Lodge Dental Surgery, where he is a principal dentist and practice owner. He prides himself in keeping up to date in post-graduate dentistry and having a most modern and comfortable dental surgery. 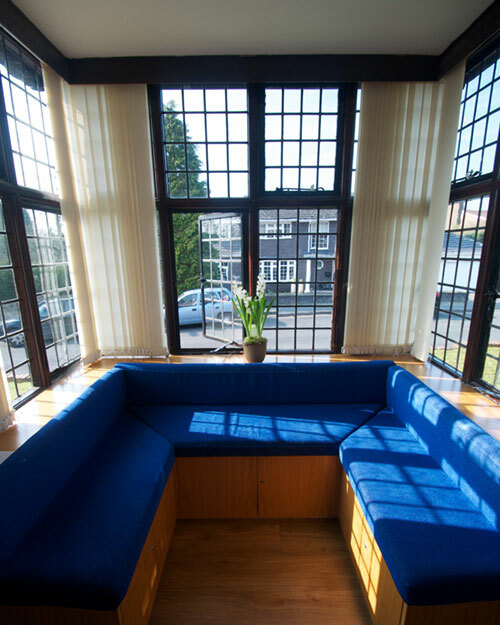 A complete refurbishment of his surgery was completed in 2010. In his free time he enjoys long distance running, cycling and bird-watching. 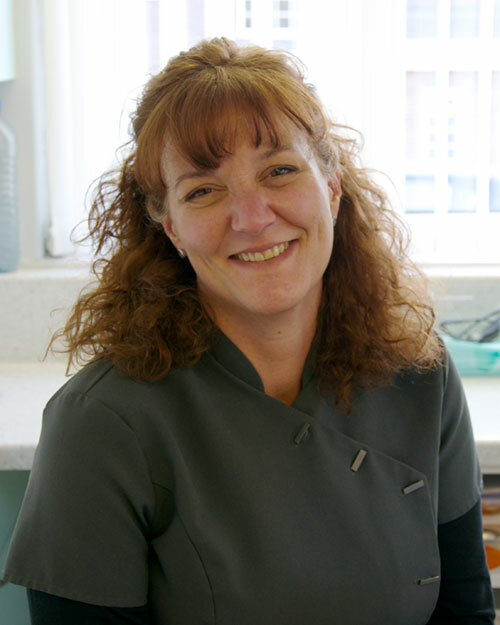 Fiona, a mother of four children, studied dentistry at Sheffield University , qualified in 1992 and has practised dentistry in the UK and South Africa. She strives to create a relaxed and comfortable environment for her patients and provides a gentle caring approach to dental treatment. She joined New Lodge in 2007. Her outside interests include family life, the outdoors , swimming and scuba. Since qualifying as a dentist in 1989 Elizabeth has worked as a General Dental Practitioner in dental practice and hospital settings, as well as undertaking Oral Health Services Research at King's College Dental Institute. 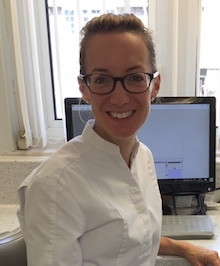 Elizabeth currently works part-time as a dentist in New Lodge Dental Surgery and also teaches student dental hygienists and therapists at the Eastman Dental Hospital in London. She particularly enjoys getting to know patients and helping them to improve their oral health. 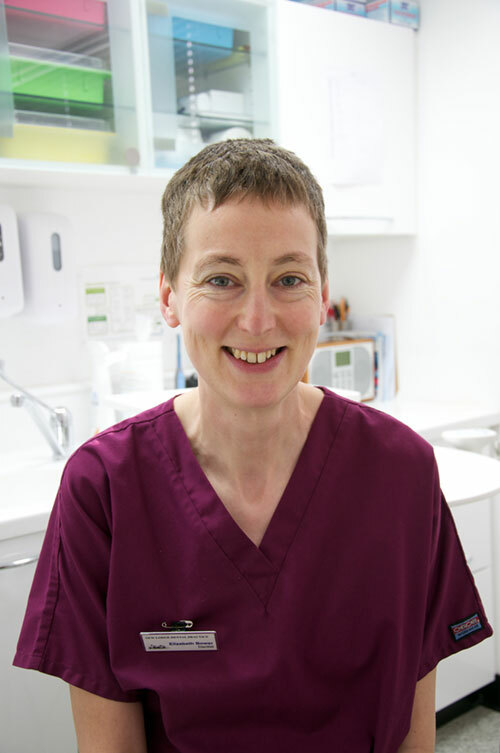 Claire qualified as a general dental practitioner in 1982 from the Royal Dental Hospital, spent a few years working in hospitals and general dental practice before returning to King's College Hospital to specialise in orthodontics. She obtained her M.Sc., D. Orth, and M.Orth. She then worked as a part-time lecturer in orthodontics at King's and at the same time worked both in the community service and specialist practice. She moved to Oxted in 1994 and joined the team at New Lodge. She now splits her working time between New Lodge and a solely orthodontic practice in Sutton. She offers a wide range of orthodontic techniques and treats both NHS and Private orthodontics for all age groups. She lives in Oxted with her husband who is also a Dental Surgeon and two children. Her spare time is spent acting as a taxi service for the children and dog walking. She is also a member of the governing body of a local school. Alice qualified from Bristol Dental School in 2004. She spent several years working as a dentist in general practice before returning to hospital as an Oral and Maxillofacial Senior House Officer at King's College, and Guy's Hospitals. During this time she passed the membership exam to the Joint Dental Faculties of the Royal College of Surgeons of England. She then returned to general practice and completed a Postgraduate Certificate in Contemporary Restorative and Cosmetic Dentistry. She most recently spent 5 years working as a dentist in a family run preventative practice in Twickenham, before relocating with her husband and two small children to Surrey and joining New Lodge in 2015. She enjoys all aspects of dentistry with a particular interest in minimally invasive preventative dentistry. Alice has a caring, gentle approach and enjoys working with nervous patients to reduce their anxiety. She is enthusiastic about keeping up to date with the latest dental developments, allowing her to provide high quality modern dentistry. Outside of dentistry Alice enjoys outdoor leisure activities with her two energetic young children. Shelagh qualified in Bristol in 1971, passed her MGDSRCS (Eng) in 1980 and completed her MSc at the Eastman Dental Institute in 1991. She was principal in her own practice in Bristol from 1973 - 1995 and part-time clinical lecturer at the Maurice Wohl Centre, KCSMD. 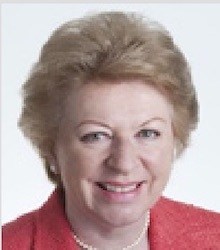 Shelagh was an elected member of the General Dental Council for many years and Vice-Dean of The Faculty of General Dental Practitioners at the Royal College of Surgeons of England. Shelagh is married to Christopher May and has a son. Shelagh was also a council member of St John Ambulance in Surrey until regionalisation of St John in 2012. 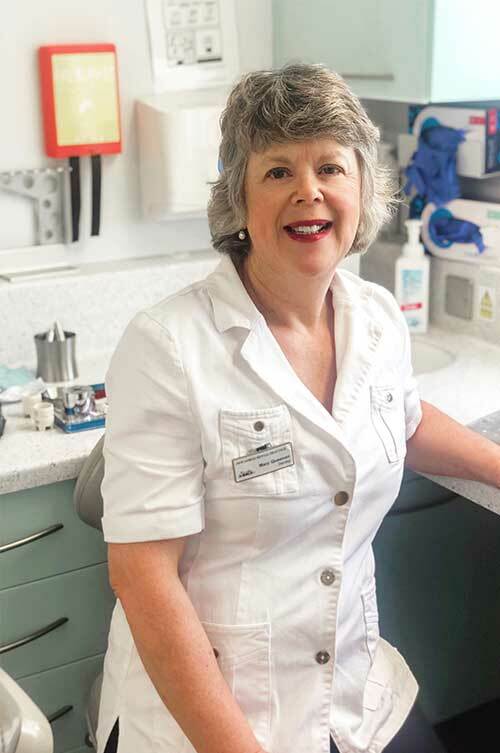 As a specialist in Prosthodontics, Shelagh is keen to help patients with both partial and complete dentures, overdentures and implant supported dentures, giving them improved dental and facial aesthetics and chewing function. 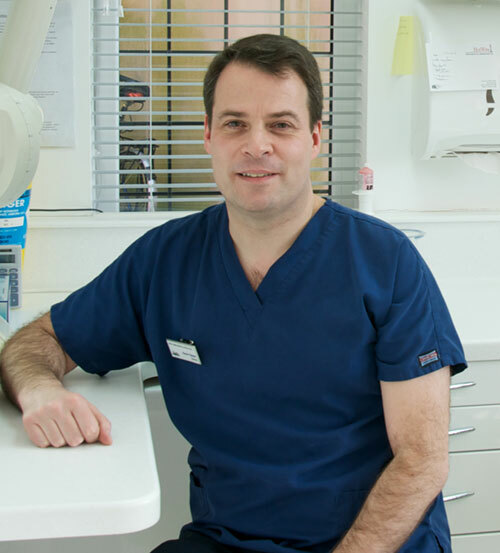 Andrew qualified from Edinburgh University Dental School in 1988 & has been in general dental practice for 30 years. 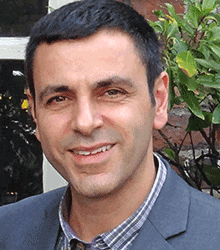 He has worked in Chislehurst & West Wickham & then bought a small private practice in Orpington, Kent. After 12 happy years ,Andrew decided to sell his practice but still enjoys clinical dentistry & meeting patients & continues to work on a part -time basis. Andrew takes over from Ann Gleeson and Judy Barley who both retired in 2018. He is an experienced , caring practitioner with a loyal following of patients.He also undertook postgraduate studies in Advanced Restorative Dentistry at The Eastman Dental Institute. 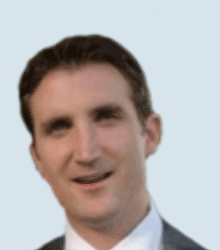 In his spare time Andrew enjoys walking his dogs with his wife , playing tennis, & cycling. He lives locally. Oliver qualified from Guy's Kings & St Thomas Dental Institute and worked in general practice for a number of years and attended many post graduate courses to enhance his ability as a restorative dentist. Oliver went on to do a Masters in Fixed and Removable Prosthodontics at The Eastman Dental Institute passing with distinction. After this he gained his Membership in Prosthodontics in the Royal College of Surgeons Edinburgh, to allow him to become a specialist in Prosthodontics. His depth of knowledge allows him to chat with his patients about choices with their dental care no matter how complex these are. With an Irish background, Oliver is a keen rugby player and supporter of Leinster Rugby. The team are complemented by, registered Dental Care Professionals, Hygienists and Receptionists. Our Practice Manager is Maureen Rice. 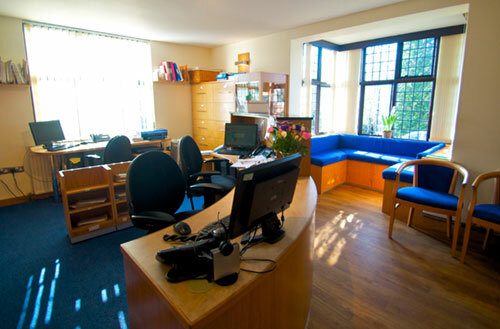 The receptionists are trained to help with all your enquiries, while the nursing staff assist the dentist and carry out cross infection control procedures. Over the years there have been relatively few changes of personnel in our practice. We believe in having long lasting relationships with our patients and with our staff.